Case Western Reserve University School of Dental Medicine researchers found the human body is better at fighting gum disease when fat cells, which trigger inflammation, disappear. Findings come from a pilot study of 31 obese people with gum disease. 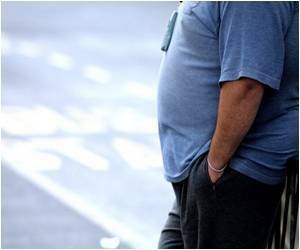 Half of the group with an average body mass index (BMI) of 39 had gastric bypass surgery and had fat cells from the abdomen removed. That half fared better than a control group of obese people with a BMI of 35 who also were treated for gum disease but did not have the gastric bypass surgery or fat removed. What intrigued the researchers is that the majority of those who underwent surgery had a drop in their glucose levels after the procedure, a result that bodes well for overweight people predisposed to diabetes and insulin-related problems. All study participants underwent nonsurgical periodontal treatments of scaling/root planing and oral hygiene instructions for home care. While both groups showed improvement, the surgery group did even better on the measures for periodontal attachment, bleeding, probing depths and plaque levels. Inflammation that continues to brew in the body can have harmful effects over time, and inflammation from gum disease can erode bone and cause tooth loss. It can also cause breaks in the gums where harmful oral bacteria can enter the blood stream. Such bacteria have been linked to preterm birth, fetal death, heart disease, diabetes and arthritis, said Nabil Bissada, chair of the department of periodontics at Case Western Reserve School of Dental Medicine. Bissada is the lead author of the study, “Response to periodontal therapy in subjects who had weight loss following bariatric surgery and obese counterparts: a pilot study,” published in the Journal of Periodontology. This study raises two hypotheses about why the surgery group improved. The first theory is that excessive fat cells (adipocytes) secrete more cytokines (such as TNF and IL-6), which make insulin more resistant to doing its function. As a result, more accumulation of sugar in the blood (hyperglycemia) occurs. Losing weight, therefore, makes insulin less resistant and improves the diabetic status. This in turn helps in the response to periodontal treatment. The other theory relates to the presence of the leptin hormone that regulates appetite. Leptin plays a role in regulating metabolism and has been linked to inflammation by increasing the production of cytokines and the -C-reactive protein, which is also linked to inflammation. Bissada said leptin production was reduced after bariatric surgery and may be one explanation for the better outcomes in the periodontal treatment. As the researchers look to the further their research, their next step will be to conduct a longitudinal study to support their preliminary findings. Contributing to the study were Dima Lakkis, Sena Narendran and Leena Palomo, Case Western Reserve School of Dental Medicine; Alan Saber and Leena Khaitan, University Hospital Case Medical Center; and Mohammad Al-Zahrani, King Abdulaziz University. The above story is reprinted from materials provided by Case Western Reserve University.